At the end of April I will have another one presentation. This one will be at WinDays 13, and I will speak about System Center Configuration Manager 2012 and Windows Intune. More info about WinDays 13 can be founded here www.windays.hr. Link to both conference can be founded at right side of my blog (under logos). I’m still working a lot with Windows Intune, so my today post is describing how to add your personal domain to Windows Intune. Then go to Domains on your left side and click “Add a domain”. Click “Next”. Now you have to add host record in your DNS server. 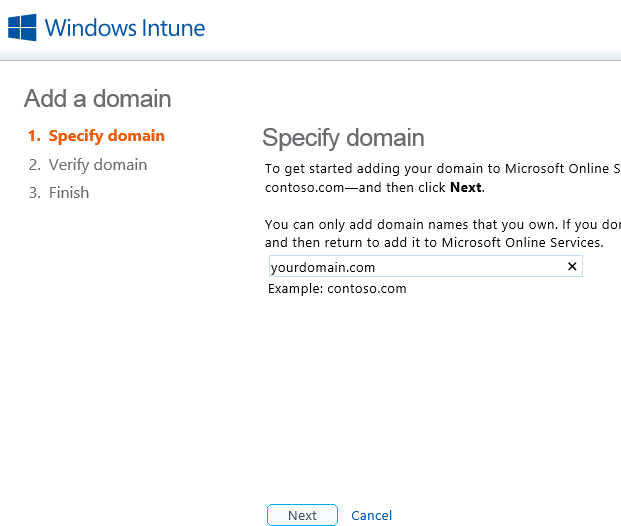 Host record varies and it is different for every domain and Windows Intune subscription. TTL time must be 1 hour. Here is example. After you done that. Don’t click “verify”! Wait, about 30 minutes and then click “Verify”. 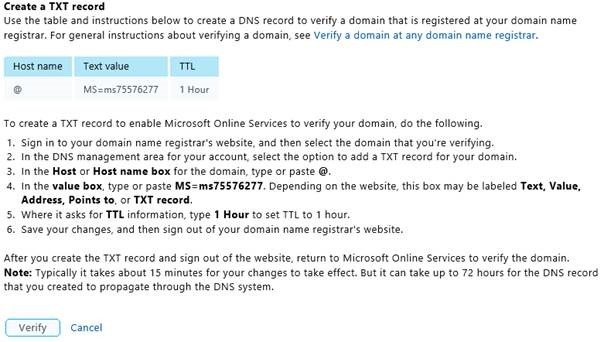 In most cases your domain will be verified and you will have your domain added to Windows Intune (as I have my marak.biz domain). In rare cases you will have to wait up to 72 hours to verify your domain (as you can see in disclaimer). If you don’t have time to wait. You can click “cancel” you will not lose changes you made. Your domain will be prepared and waiting for verification. Today Microsoft Croatia starts with Early Bird registrations for Windays 13 conference. Windays 13 will be held in Umag from 22 – 26 April 2013.